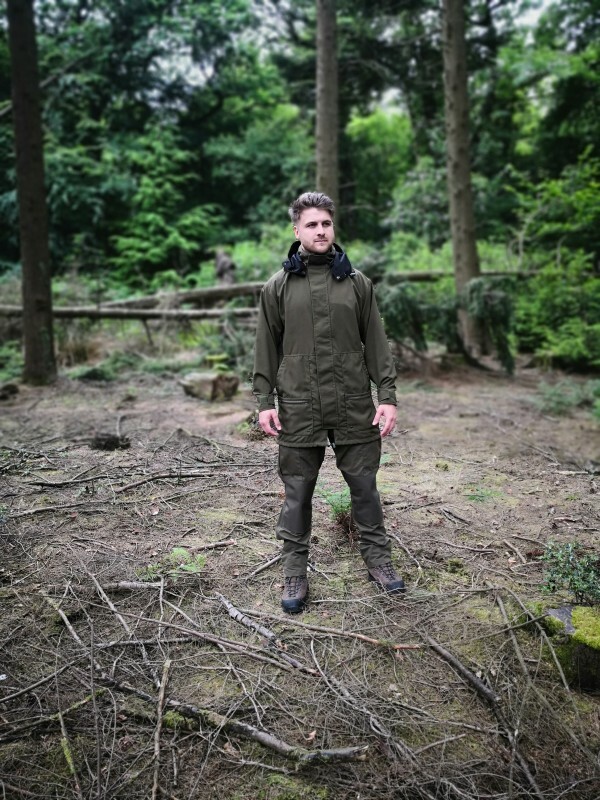 This waterproof jacket originated from our hugely popular Field Jacket. It is the same design as our Field Jacket but it is 3″ longer. 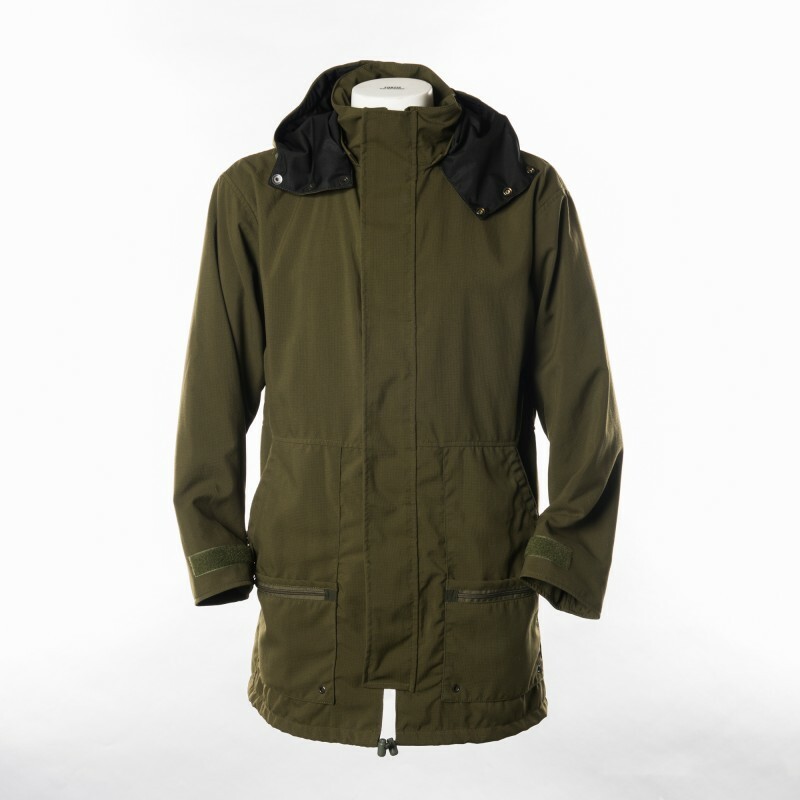 Simple and hard wearing this lightweight jacket is waterproof and windproof. 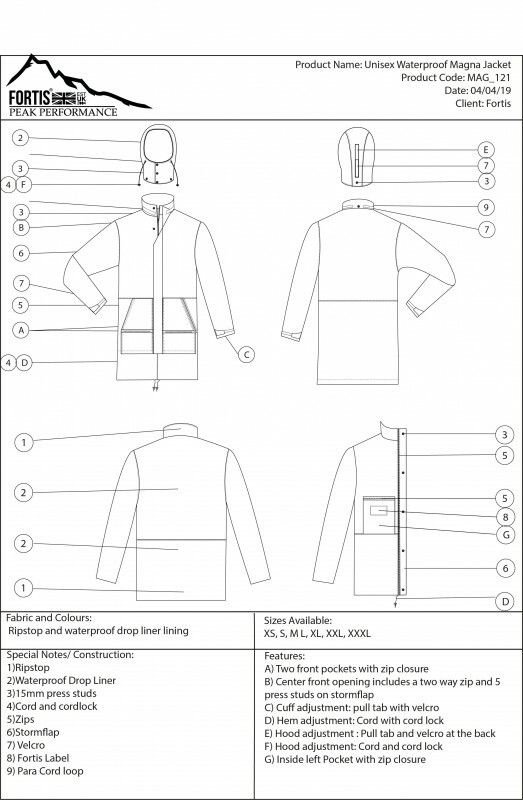 This makes it a hard wearing Rainshield with a detachable hood. The entire jacket folds into the hood. As an avid angler, I first got mine a few years ago (when they were still County Covers) I cannot fault it. 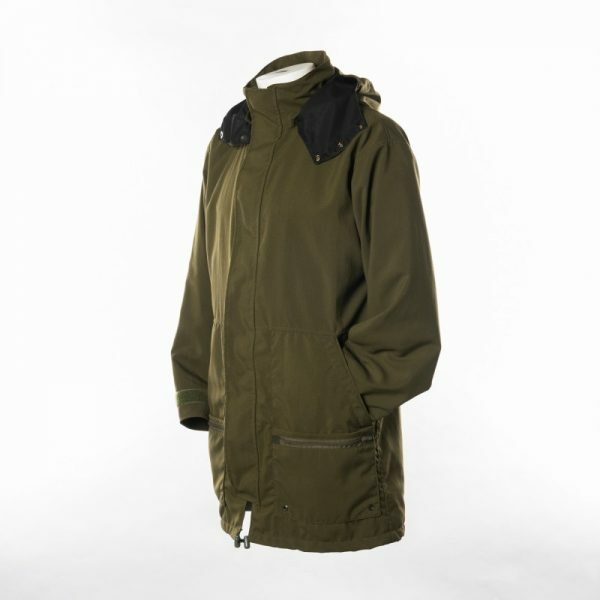 In the past I have tried most of the common Gortex, Simpatex and waxed cottons brands. None of them are as good as this material. I’ve also had one of their Parkas for over 5 years along with their trousers. Both are still going strong. Best waterproofs I have ever owned. Worth every penny. Ordered a black one for my daily commute to Tower 42 in the City. The length is perfect to cover any suit jacket and if not needed it can be rolled up and stuffed in my bag along with the lunch box and evening standard. Wearing it with the hood up during heavy rain has saved me from joining the Umbrella brigade I am pleased to report! 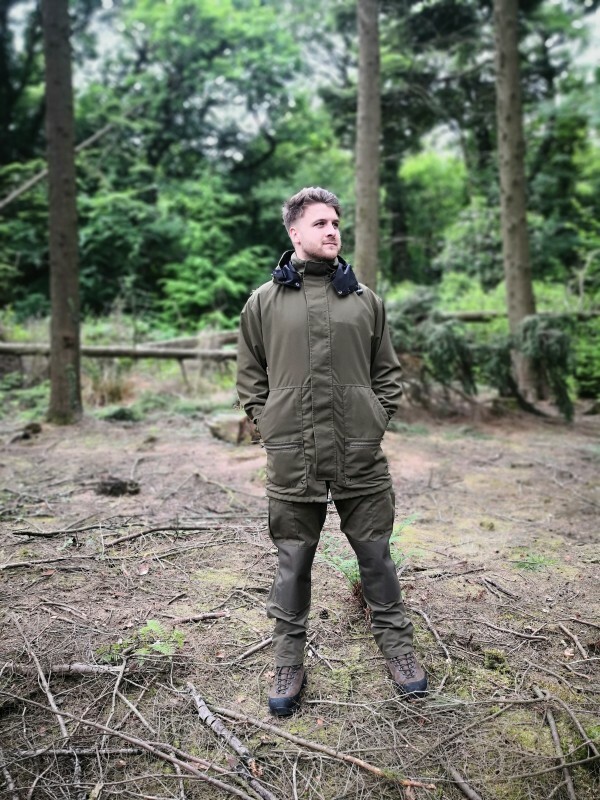 I intend replacing my shooting and farming coats with Fortis products over the coming months and have long had Falklands trousers which have proved tough and durable on land as well as on my fishing boat up in Whitby. All in all good quality gear for town and country. Highly recommended. 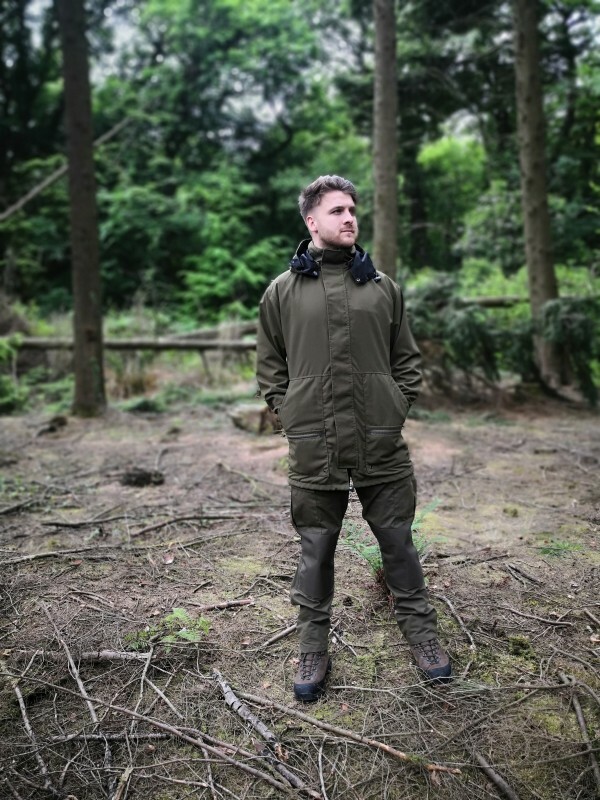 I originally brought this jacket to use whilst beating on shoot days but have worn it for many other occasions including Duke of Edinburgh’s award Gold expeditions in the Lake District and Snowdonia. It’s been such a life saver as it is unbelievably waterproof, has a great hood and is warm yet still stylish enough to wear just about anywhere. I’d thoroughly recommend it and the Fortis team are so friendly and really helpful. I’m looking forward to purchasing a pair of the waterproof trousers in the near future.